Many people are avoiding milk these days, with good reason. Whether it’s because they’re vegan, Paleo, lactose intolerant or because they don't agree with how the dairy industry treats cows, finding alternatives can be a challenge. Once you stop drinking milk, you’ll be surprised by how many foods, recipes and drinks (hello, morning coffee!) require or contain milk. If you’re trying to go dairy-free and aren’t happy with the alternatives at your local supermarket, you can always try making your own. 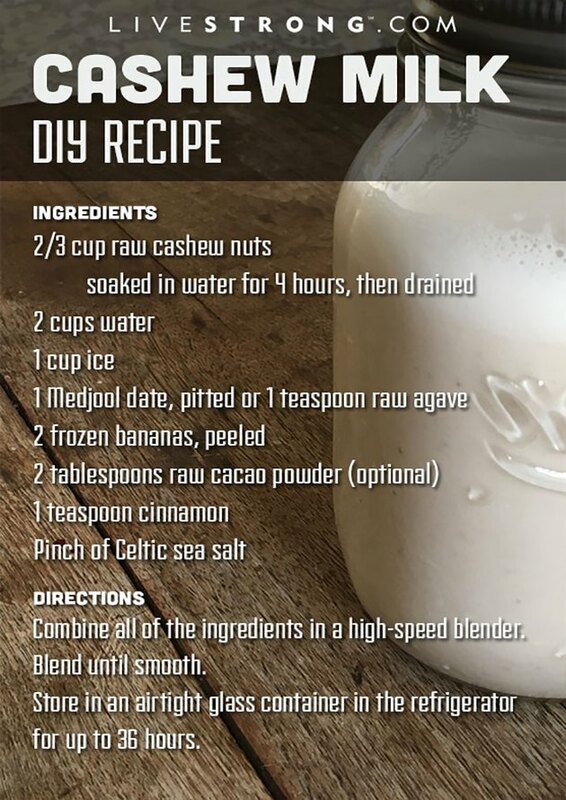 I reached out to the ladies at Ritual Wellness who shared these three easy recipes for do-it-yourself milk alternatives. 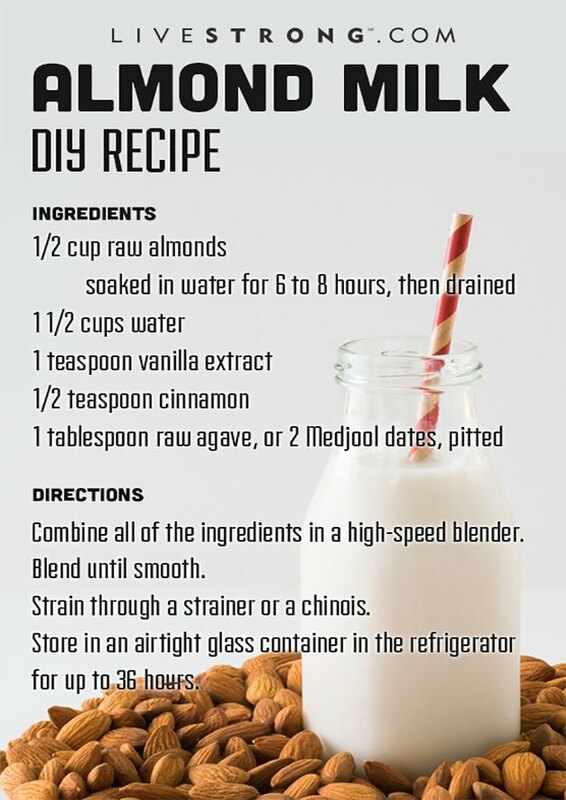 This delicious nut milk will have you swearing off dairy forever. Full of protein, essential minerals and healthy fats, this is the perfect protein shake. If you'd like to see the full nutritional information for this recipe, here’s the link to it in LIVESTRONG.COM’s free calorie tracker. (Makes 16 ounces). Combine all of the ingredients in a high-speed blender and blend until smooth. Strain through a strainer or a chinois. Store in an airtight glass container in the refrigerator for up to 36 hours. This is so tasty you'll think you're eating something bad for you rather than a great source of protein and potassium. If you'd like to see the full nutritional information for this recipe, here’s the link to it in LIVESTRONG.COM’s free calorie tracker. (Makes 16 ounces). Combine all of the ingredients in a high-speed blender and blend until smooth. Store in an airtight glass container in the refrigerator for up to 36 hours. Hemp is a great low-fat, lower-calorie source of protein. For flavoring, choose cinnamon or orange zest, based on your personal preference, since on its own, hemp doesn't have a lot of taste. If you'd like to see the full nutritional information for this recipe, here’s the link to it in LIVESTRONG.COM’s free calorie tracker. (Makes 16 ounces). Do you drink cow’s milk or other milk alternatives? What's your preferred milk or milk substitute? Do you drink it on its own or include it within recipes? 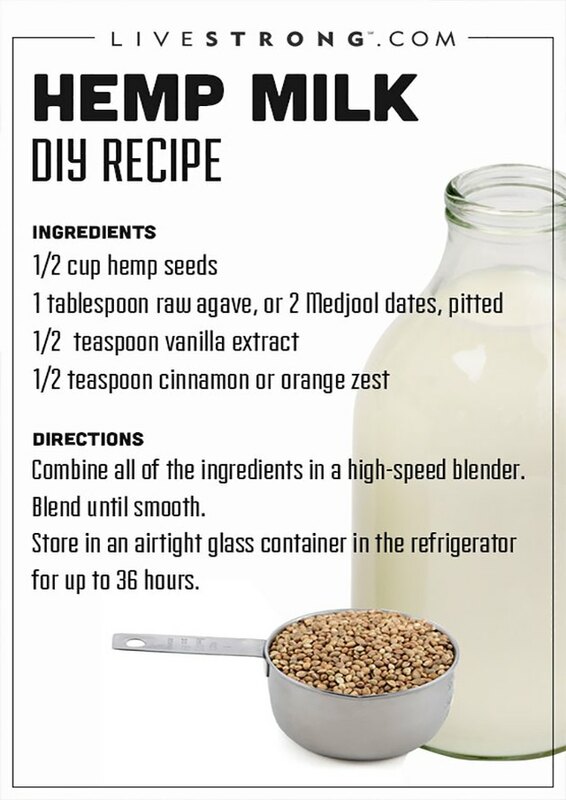 Have you tried making your own milk substitute? Leave a comment below and let us know.